The Lunar New Year has arrived, and Los Angeles brings you festivities to help enjoy a year of good luck and fortune. Here are a couple of events that will help you ring in the year of the rooster. 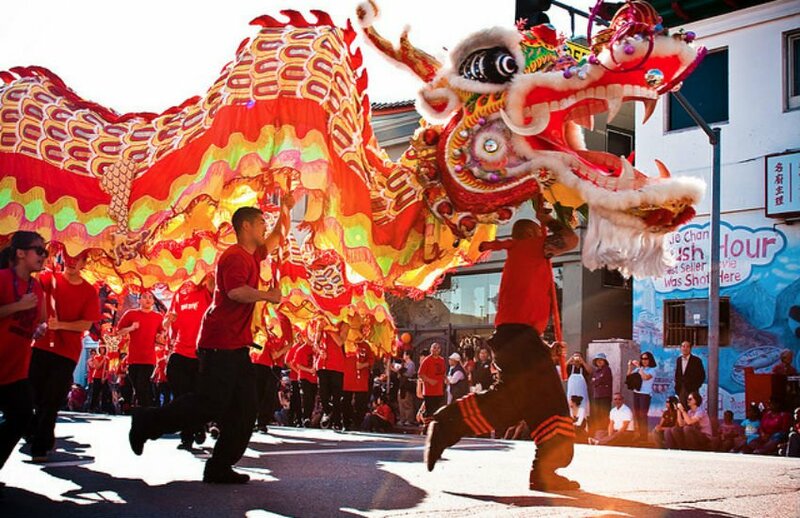 Join in one of L.A.’s oldest traditions at the 118th annual Golden Dragon Parade and Chinese New Year Festival this Saturday, Feb. 4. The Chinatown Central Plaza celebration includes almost two dozen floats, multiple marching bands, entertainers, delicious food and more. The colorful parade travels along North Broadway starting at 1 p.m. and is free to the public. If you can’t make the Golden Dragon Parade, don’t worry! The Lunar New Year is celebrated for 15 days, and the 38th annual Firecracker Festival will take place in Chinatown next weekend, Feb. 11-12. The festival showcases free cultural arts, music, and entertainment of all kinds. The Firecracker 5k/10k Run, Walk and Bike Ride will also be available for those looking for a more active celebration. For both events, we recommend taking the Metro Gold Line to Chinatown Station as buses will be detouring in the area. Both Gold and Red Line will run longer trains this Saturday in anticipation of large crowds. To view all service changes and detours visit our Service Advisories page for more info. I’m going to attend the parade on Saturday! I’ll be riding Metro Local Line 94 from my home in Glendale straight to Chinatown. Wishing everyone a Year of the Rooster full of good luck, good health, prosperity, and success! Go Metro and Happy Lunar New Year! Or as we say it in Vietnamese, Cung Chúc Tân Xuân (which means gracious wishes for the new spring).